The job of a sales associate involves many interesting things. It’s about public interaction, making new customers, customer query, and objection handling, and it’s about successful sales. Hence, there are many interesting things to be learned, mastered and executed when you are into the job role of the sales associate. Thus, the best way you to make a sales associate perform is by describing in detail what he has to do. 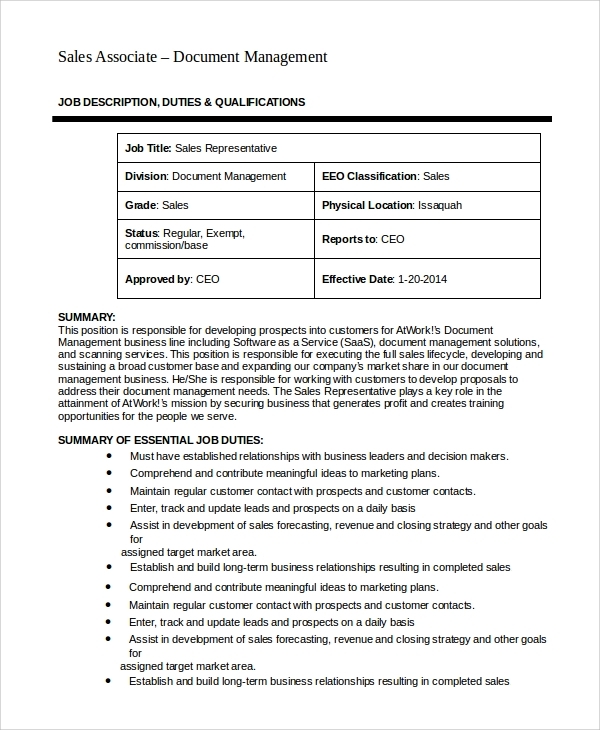 Get the Job Description Samples here. 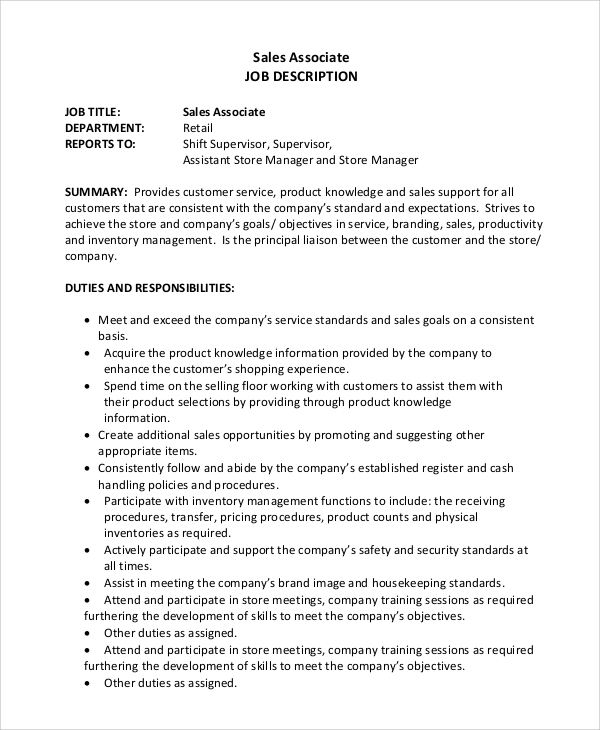 When you are going to work in some retail stores as the sales associate, then should know this particular job description for retail sales. 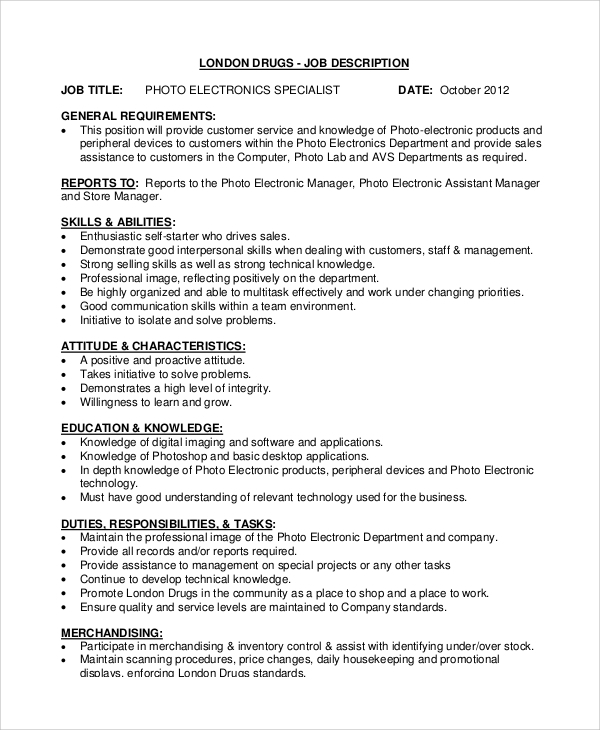 And this sample will help you with that information about the job role. 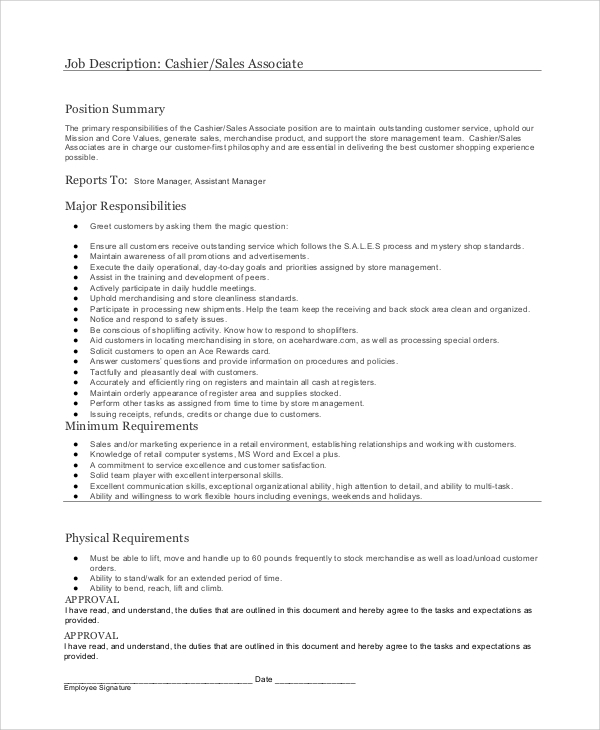 If you are a cashier in a sales process, and are working as both cashier handling the cash, and also generating sales while collecting cash from customers, then you must read this dual job role here. 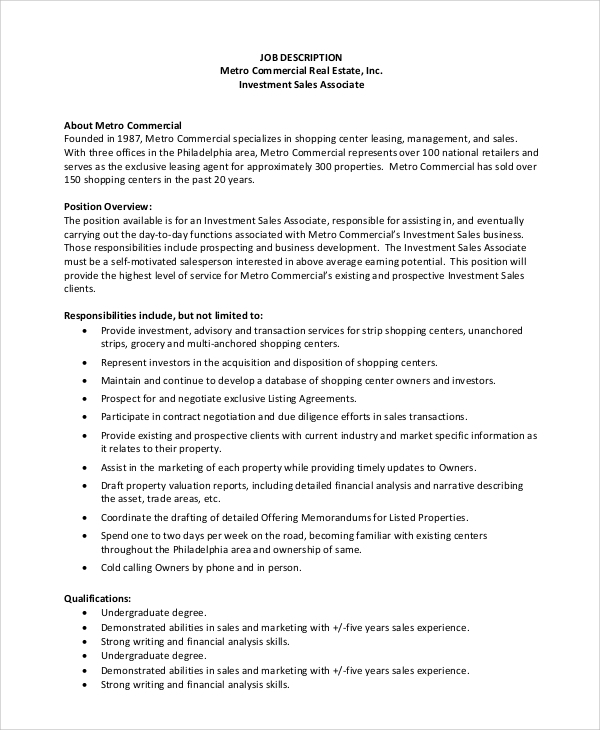 The real estate sales associate job description is all about stating what a real estate agent or salesperson should be doing, and it includes all duties starting from the first day till the finishing day. 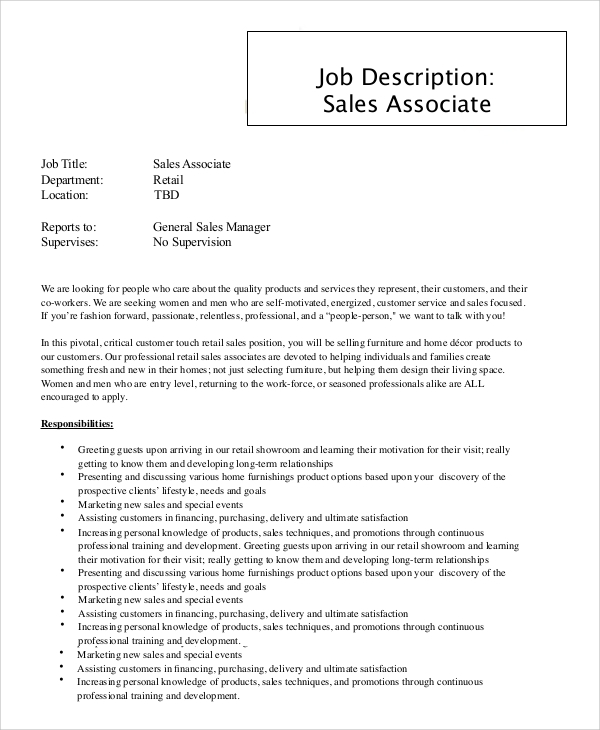 The sales associate manager has some other jobs to do, which obviously need to be described so that you get the full output from your sales associate manager. 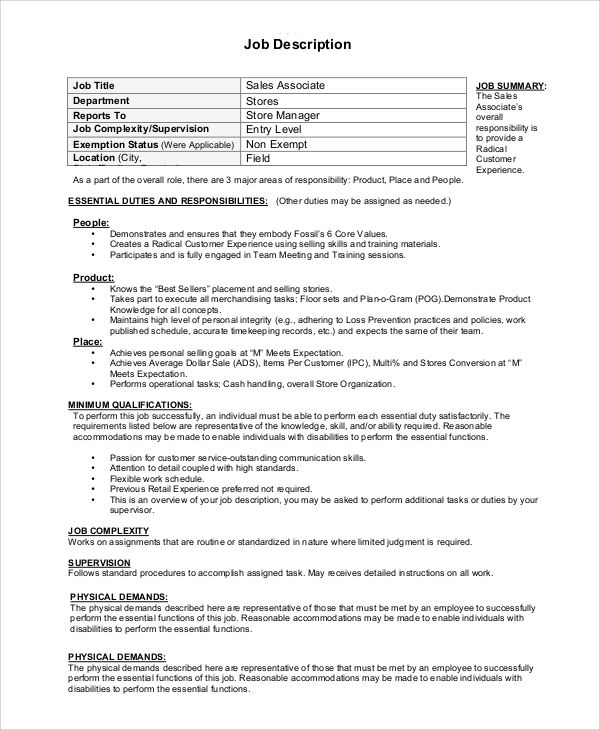 This is just a plain and basic job description of the sales associate. If you have to tell your associate what exactly is expected from him, just present this description. He/she will get a clear understanding of the role. 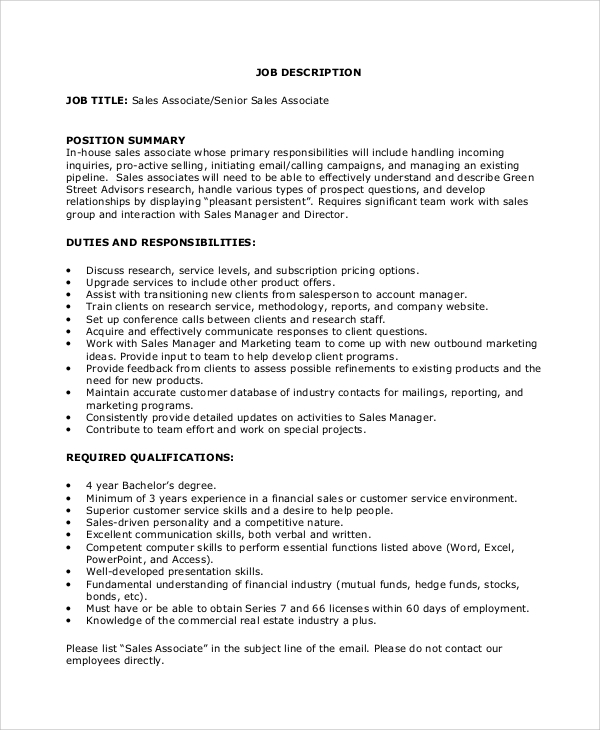 Who Is A Sales Associate? This is not as simple because there are other duties involved such as following up with a customer, handling disputes, telling the right facts about a product, and never misleading a customer. Hence, when you take up the job role, you must read all that is important to do the job. 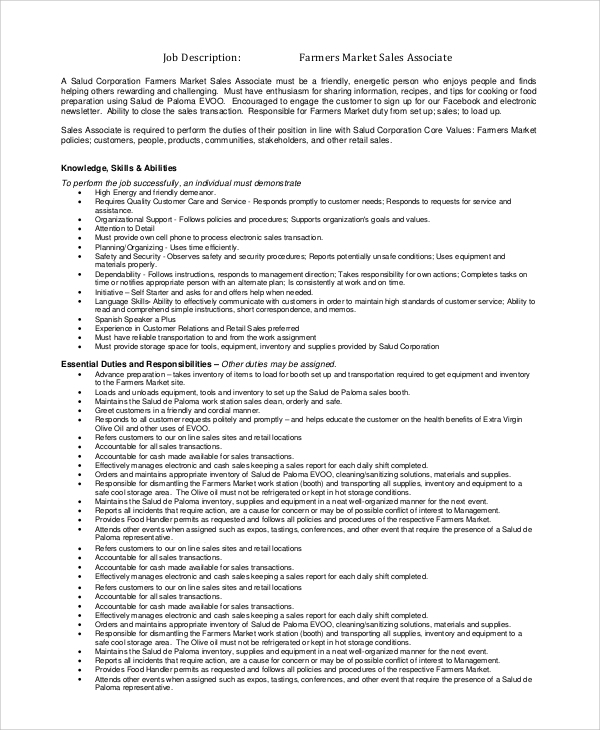 The sales associate job description helps people in the profession in many ways. Every time a sales associate in any level or role joins your shop or store, office or business, you will feel it’s a painful job to take that person through the intrinsic training every time. This can be somewhat avoided when you display the proper job description in front of the new joiners. Also in case you have any unclear ideas of what a sales associate is supposed to do, and are planning to get associated with this domain, you may also take ideas from the same. Besides, putting up ads and job description within also gets so comfortable. While you look for new sales associates for your business, you must make the job description clear before them to set the level of expectations. You will also get other helpful description like the Sample Sales Associate Job Duties and sample cashier job duties to get help in the same domain.